Babblings of a Mommy: For The Kids: EPIC DVD GIVEAWAY!! For The Kids: EPIC DVD GIVEAWAY!! Get your calendars ready, kids. 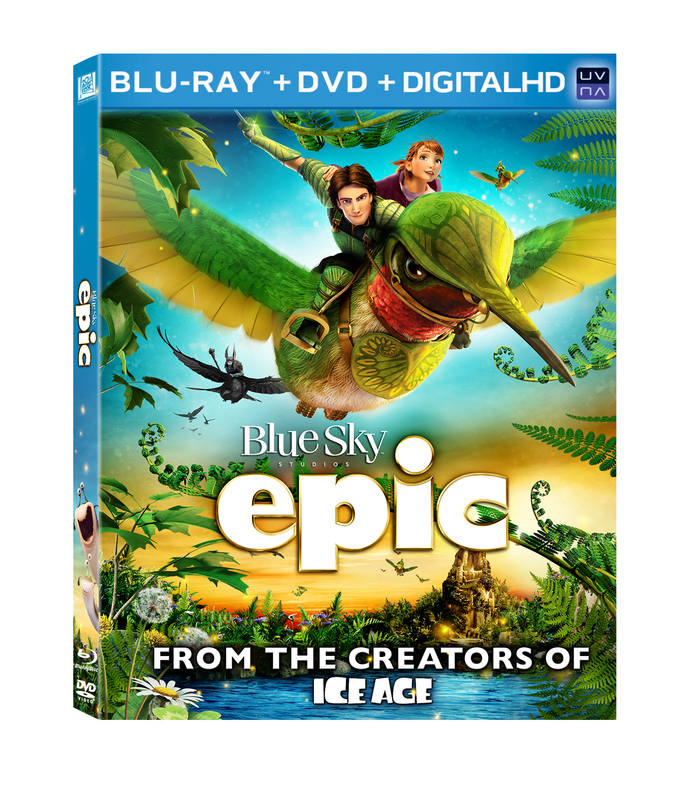 Epic, is coming to Blu-ray and DVD on August 20th! 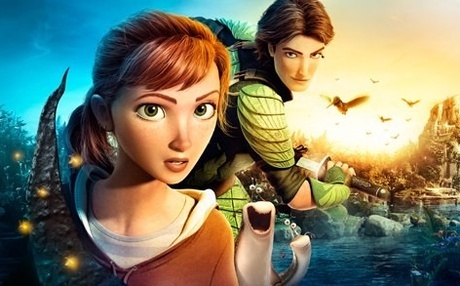 From the makers of Ice Age comes an inspiring story of a teenage girl that finds herself transported to a secret universe where she must join forces with a team of whimsical creatures to battle the forces of evil that are trying to destroy their world in this adventure comedy based on author William Joyce's illustrated children's book The Leaf Men. I remember taking Arianna to see this movie in the theater and she absolutely loved it! Its got high-flying adventure, romance, comedy, and gorgeous animation. I mean, what's not to love? EPIC debuts on Blu-ray Combo Pack, Deluxe Edition Blu-ray, and DVD this August 20 from Twentieth Century Fox Home Entertainment. Directed by Chris Wedge (The Ice Age Franchise) and featuring an amazing voice cast including Colin Farrell, Amanda Seyfried, Christoph Waltz, Jason Sudeikis, Steven Tyler, Pitbull, and Beyoncé, the blockbuster film comes home just in time to help families become one with nature and end the summer in Epic style. Madison would love to see this movie we didn't get a chance to see it at the movies! We did not get the chance to see this in the theater. We just did not get around to it. My son & daughter would love to see it, as would I! I haven't seen it, but I love that it reminds me of Fern Gully. Epic was such a cute movie! My Little Guy loved it! I haven't seen it, but I hope that changes soon. We haven't seen the movie but it looks like they did a great job with humor and animation. I had missed seeing Epic when it was playing in theaters, but I saw the trailers and it looks really fun! Thanks for having the giveaway, and for the chance. I love any movie that challenges people to think about the environment. My daughters love that too, this looks like one they'd really like! I've never seen it, but it looks like the kind of movie I can watch with the kids and we can all enjoy it.